Who doesn't like fun? More importantly, who doesn't like They Might Be Giants? If you fall under both categories, we've got some great news for you: They Might Be Giants are releasing I Like Fun, their twentieth studio album (fifteenth if you want to foolishly discount their five kids' albums) on Friday. I Like Fun opens somewhat fearfully with "Let's Get This Over With," but rest assured, after thirty-five years of performing together, John Flansburgh and John Linnell aren't about to start phoning it in now. 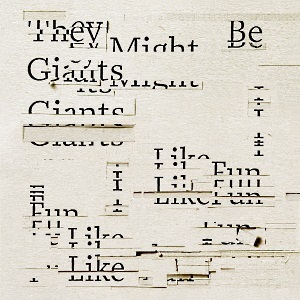 What follows is an album full of the quirky, offbeat tunes you've come to expect from They Might Be Giants. Standout tracks include "All Time What," the aforementioned "Let's Get This Over With," the poppy "An Insult To Fact Checkers," and "Lake Monsters," a song about lake monsters going around looking for a place to vote, even if it does fail to name-check Lake Norman's Normie, with a killer coda: "No hypnosis like a mass hypnosis cause a mass hypnosis isn't happening." I Like Fun closes with the powerful one-two punch of "The Greatest" and "Last Wave." If you're a fan of They Might Be Giants, you'll love I Like Fun.